IndyCar technical advisor Tony Cotman has carried out a track inspection at Mosport in anticipation of the likely need for a back-up venue for Toronto due to 2015 scheduling conflicts. Toronto's place on the 2015 calendar has been in doubt for some time due to the Pan-Am Games, which are scheduled for July 10-26, and which will use the same Exhibition Place venue that serves as the staging ground for the IndyCar street circuit, currently Canada's only venue in the series. Other alternative dates are also proving unviable: the June 6 weekend, which had been mooted as an option for Toronto next year, has been awarded to Texas Motor Speedway. 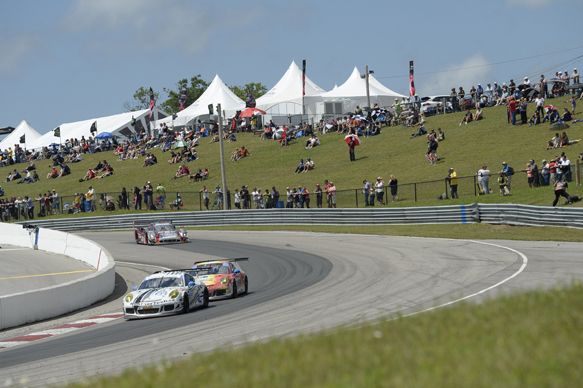 A joint statement from Mosport management and Green Savoree Racing Promotions, which runs the Toronto race, confirmed that the historic 2.5-mile road course is being considered as a Plan B. "An IndyCar track inspector has completed a full track inspection at Canadian Tire Motorsport Park [Mosport] and has provided recommendations," said the statement. According to Toronto race president Charlie Johnstone, plans for IndyCar's visit to Canada in 2015 will be finalised in the near future. "We have worked tirelessly to explore all options and are close to making an announcement regarding when and where we'll be racing in 2015," he said. Former Canadian Grand Prix Formula 1 venue Mosport last hosted IndyCar in the USAC era, when Danny Ongais won in 1978. Its current main event each year is a round of the United SportsCar Championship.